The best part of knitting is being able to knit on-the-go. Not only do you get work done, but you also get to show off your cute knitting tools. 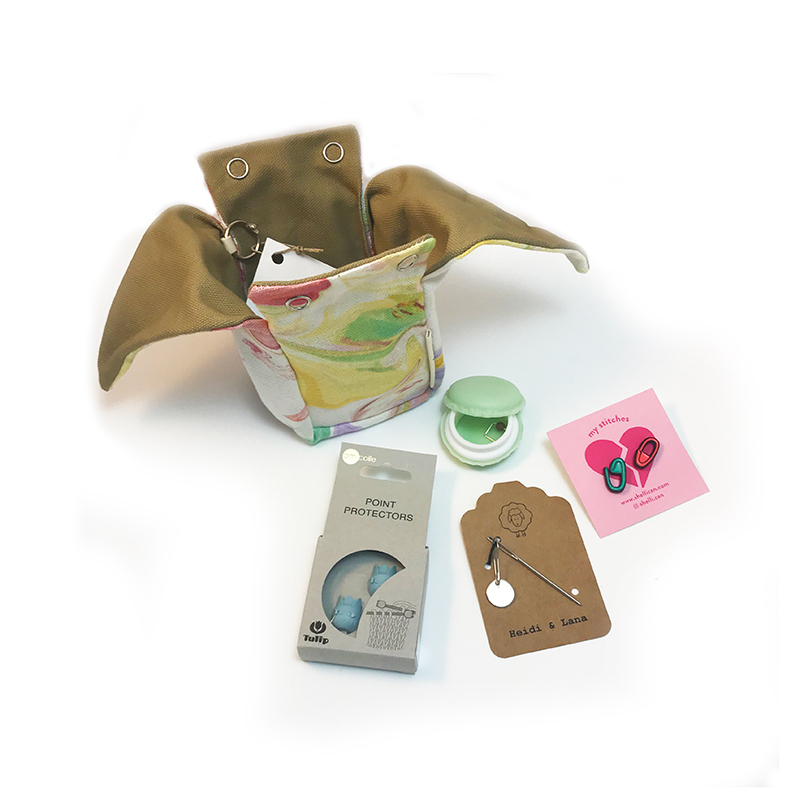 It doesn't get much cuter than this Juniper Notions Pouch from Beautiful Syster. Inside, find essential tools to accompany you when you knit in public, as well as some swag to show off your knitty status. Sold individually, these products would total $40.